Throughout the many years I have had the opportunity to practice psychology and neuropsychology, I have found interesting grains of truth in saying some of us may be quite familiar with. To start with one, there is the expression, “Experience is the teacher.” As it appears to turn out, in a very deep sense, there appears to be more truth in this than we realize. During decades of practicing various forms of psychotherapy, I have noted and the research verifies that real change takes place when an individual begins to act differently. This appears to be the case even if an individual merely “tries on” a new behavior, or acts “as if” without having the full emotional backing experienced deep enough to drive the behavior. When we do something different, talk a different way, look a different way, act as if we might feel differently, or generally behave in some different manner, we start to break more automatic functioning and in many instances thoughtless styles of acting, thinking and feeling. What happens then is some small to even perhaps farther reaching changes in our complex system take place, allowing for more or different changes and flexibility. These changes may be subtle to some not so subtle and may be part of more profound transformations that lead to other processes of change. The whole idea of change within our body and in particular our brain is something that has become more evident in the past decade or two. 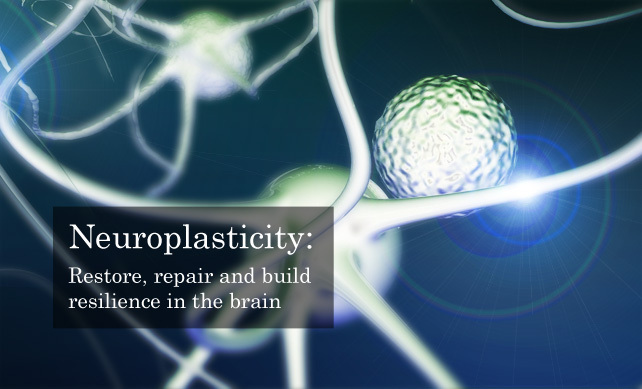 A popular term used to describe our brain’s potential ability to continually change is neuroplasticity. This term and related ideas about neuroplasticity show us some of the basic underlying functions of our brain. It is designed to continually change in order to help the whole system adapt to changing demands in life and aging. Granted these ongoing changes are not always as flexible, helpful, or some cases may even become disadvantageous to the present or changing demands in someone’s life. What is more important here is that brains are more “plastic” or changeable than we even imagined, and this process of change and development may be tapped and directed in a useful, adaptive manner. Research has demonstrated to us that psychotherapy, or talking therapies (i.e. counseling, cognitive behavioral therapy) may make for actual physiological changes in the person’s brain, and even more systemically in the rest of the body. Changes in visceral sensations, or “gut feelings” are a good example. Understanding and helping people to harness these powerful processes has been central to the work that I do as a clinical psychologist. Besides my varied and lengthy experience as a clinical psychologist, I have received and keep up with training and certification as a neuropsychologist and neurotherapist. The whole idea of experience being the teacher now expands with, “the more you do something, the better you get at it.” And this certainly has a neural basis. This idea was mentioned in writing by a neuroscientist back in the 1950’s. The neuroscientist Hebb wrote, “What fires together, wires together.” We have come to understand the complexities of this early statement much better, and recognize how neuroplasticity is at the heart of this idea in developing and solidifying the complex systems that drive what we do, and even how we function without thinking about it. Our comprehension of, and therapies regarding brain and related functioning have progressed at a remarkably rapid rate with and massive information being applied to current therapies and the development of new thinking about change. Over the past 10 years, I have been incorporating these findings and applications into the clinical and neuropsychological evaluation and treatment that I offer. Such applications need not be stand alone, but best utilized as part of a comprehensive approach to relieve symptoms, as well as train for what is called peak performance. My work, along with the other clinical staff at Waterford are able to provide more of a functional approach to treatment, along with the more traditional complimentary treatments associated with the disease model in behavioral health. This important distinction allows us to not only work in an insightful manner with diagnoses such as anxiety, depression, and attention across the life span, but also more effectively with various learning problems, developmental difficulties in younger populations. The demands of learning, managing aspects of developmental difficulties and promoting success is something that I and the other Waterford clinicians are sensitive to working with younger populations in this more challenging world we live in. On the adult spectrum of life, we at Waterford are able to offer comprehensive understanding of adult behavioral health difficulties, as well as individuals who have suffered brain and other traumas in their life. We find there are therapies that make efficient use of neuroplasticity for better, more effective functional changes. If you are interested in any further information mentioned in this brief note, please feel free to contact Waterford Counseling and Psychological Services. I would be happy to respond with additional information. If you would like to provide your email address, I would send you copies of some brochures or related articles. Win a Free Fitbit…and Stop Depression in its Tracks!! !